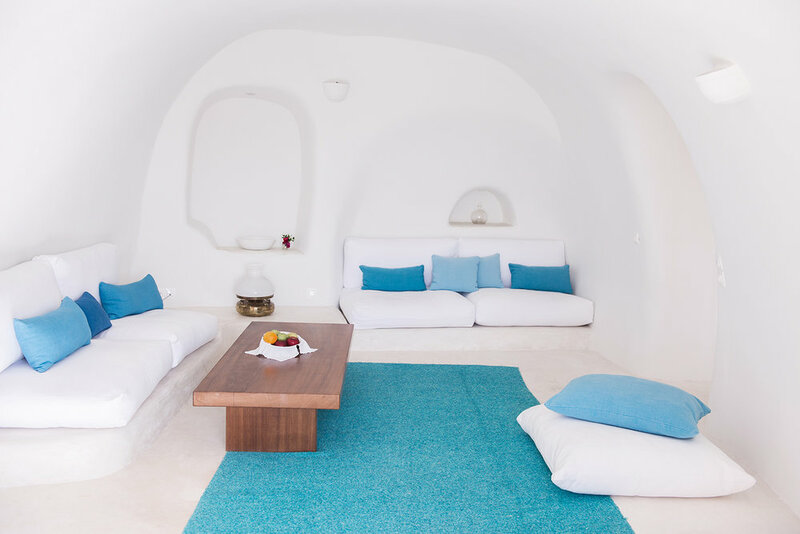 Built by native craftsmen using local materials, interiors embody Cycladic style, with its organic forms and smooth surfaces. Breezy rooms are naturally cooled by sculpted stone walls and vaulted ceilings pierced by skylights. Beds are built into snug alcoves, adorned with a posy of hand-picked flowers.Niches and archways are scooped out of whitewashed walls, low-slung sofas offset by hand-woven rugs and cushions in vivid fuschia and lilac. Timeless and quietly glamorous, interiors are pared down so that nothing distracts from the show-stopping views and nothing disturbs the intensity of the stillness. 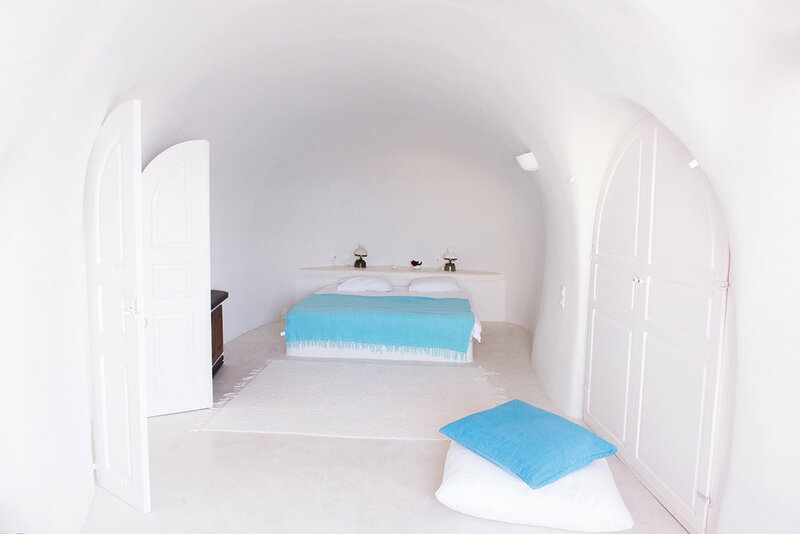 Each of the 20 cave houses are unique in its size and decoration, yet all have private terraces with uninterrupted sea view. 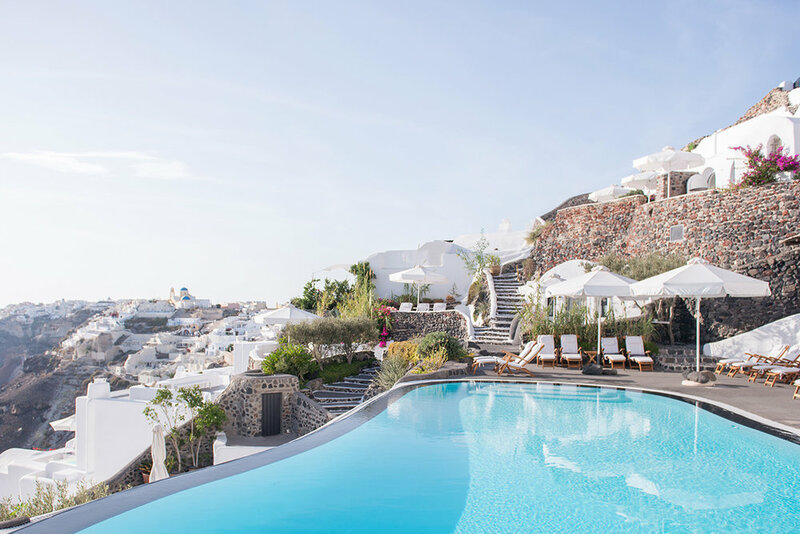 At the heart of Perivolas lies its gorgeous infinity pool, a pinnacle in the elegance of Santorini style. There are no TVs and DVDs – this is a place to switch off. A place to read, recharge, relax; to sleep, rest, and dream. 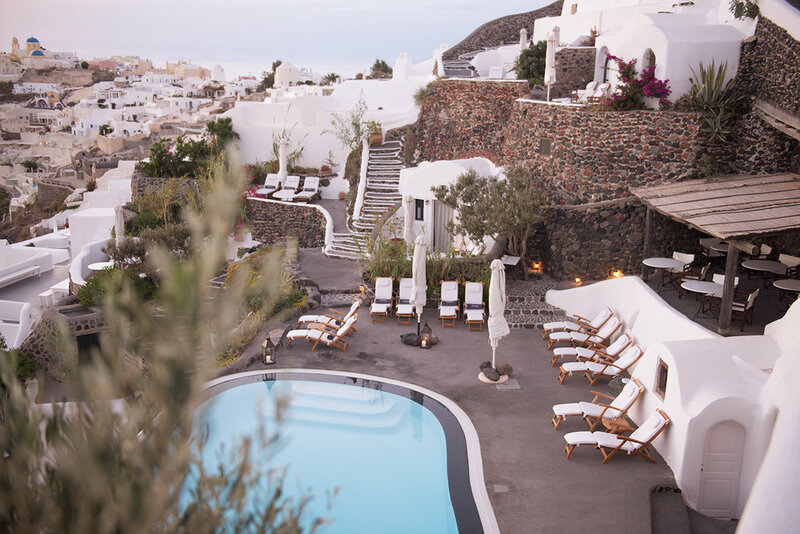 The poolside restaurant transforms itself during the day – from a homey breakfast buffet, to a laid back Greek lunch and a romantic candlelit dinner setting. 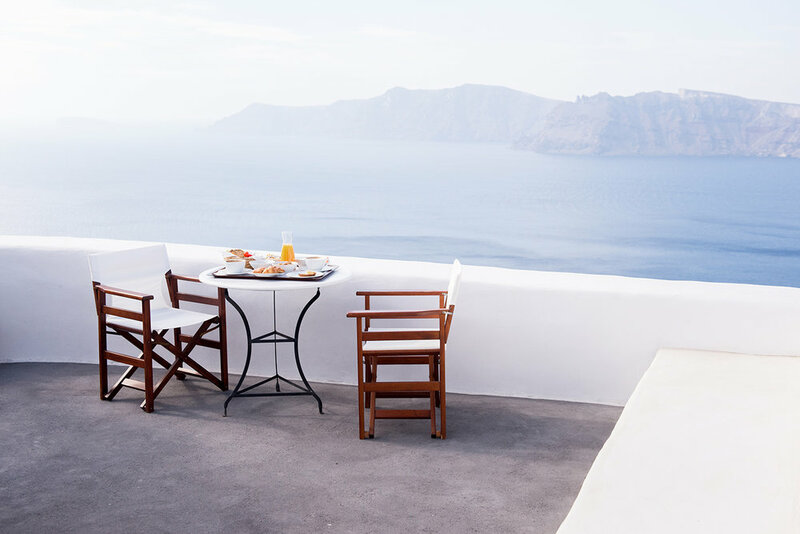 Perivolas is located just outside OF Oia and 15km from the Santorini Airport. Low season rates start at $540/night and high season rates start at $650/night. 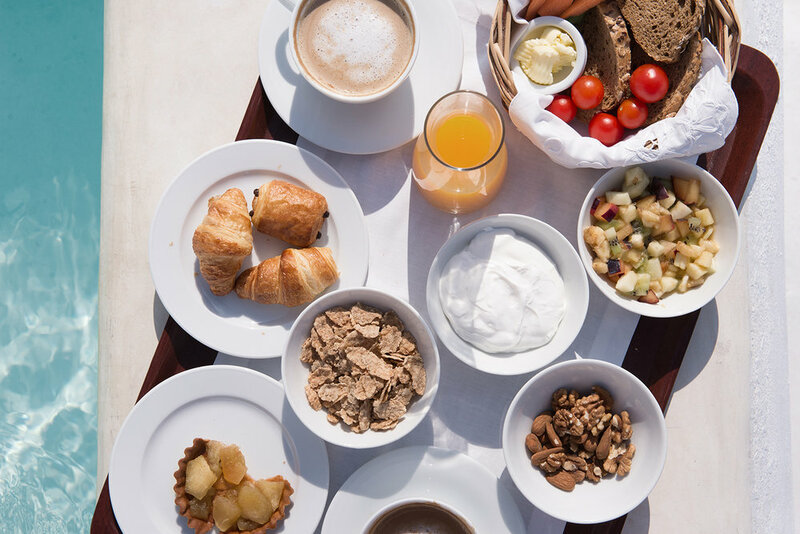 Includes: Breakfast, Welcome bottle of Vinsanto wine, Welcome Champagne cocktail, Use of all hotel facilities, Daily maid service, Transfers to/from Perivolas to airport/port and All applicable taxes. Open from mid April until end of October. Adults and Children Age 16+ only. Cliff-side trekking between the main towns of Oia and Fira - this path offers stunning views and great photo opportunities. Archaeological attractions worth visiting: Ancient Thira, Akrotiri, Museum of Prehistoric Thira. 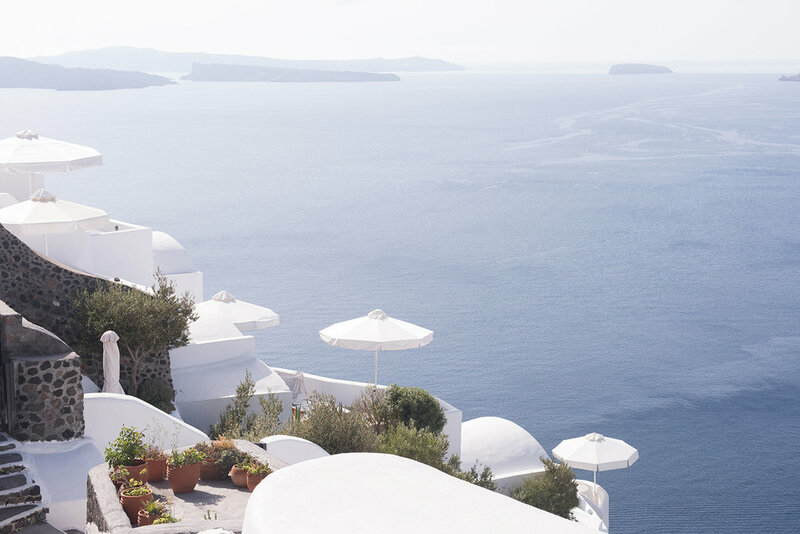 Wine tours to the islands best vineyards. Take a boat tour around the Caldera lake to enjoy some hidden coves for a refreshing swim, or just enjoy the scenery and the magical feeling of this unusual place. Visit their website or call +30 22860 71308 for more information.